A former remand prison of the Soviet secret service KGB located in Potsdam, Germany. It was part of the Soviet enclave called “Militärstädtchen Nr. 7” ('Military Town No. 7') on the edge of West Berlin, one of the most important bases of the Soviets and especially the KGB until 1991. After the Soviets left, it became a memorial site with the official name “Gedenk- und Begegnungsstätte” ('memorial and meeting place/forum') “Leistikowstraße Potsdam”. More background info: You can hardly believe it now, but the building was originally a vicarage! Built in 1916, it was not only the home of the local vicar but also housed a women's charity and the editorial offices of a church newspaper. After the Potsdam Conference at the nearby Cecilienhof, the whole area of this Potsdam suburb (Nauener Vorstadt) was taken over by the Soviet military and turned into a “forbidden town” called “Military Town No. 7”. It served as the main base in Germany for the KGB counter-intelligence service. The former vicarage at No. 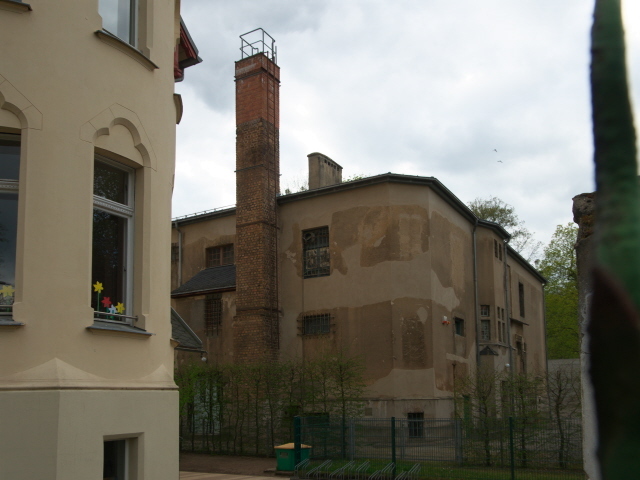 1 Leistikowstraße was turned into a remand prison. 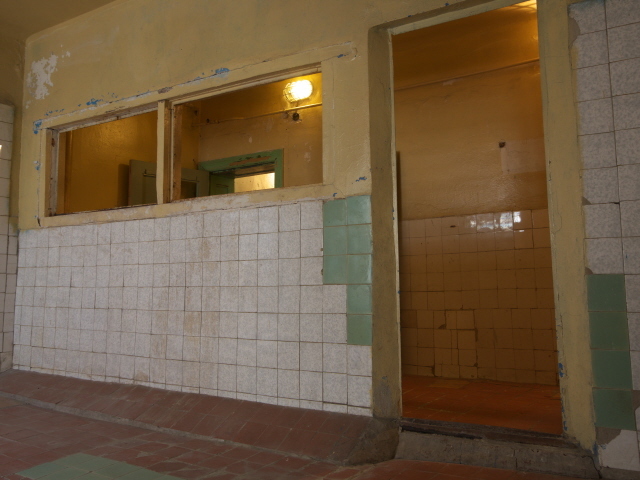 For this, extensive changes to the building were made: windows were bricked up or barred and corridors and doorways narrowed, and rooms partitioned and turned into some 36 prison cells. In the international treaties that codified Germany's reunification it was agreed in 1990 that the Soviet military was to leave and return home over a period of four years, ending their presence in Germany in 1994. The KGB, however, was already dissolved in 1991 after the collapse of the Soviet Union. The prison building at Leistikowstraße had, since the mid 1980s, already been switched to other uses anyway, mainly to serve simply as a storage facility for equipment. But it remained in Soviet hands until the final withdrawal of all Soviet troops from Germany was completed. The premises then went back into the ownership of the Brandenburg federal state and then to the protestant church charity whom it had originally been built for. For a couple of years Amnesty International used part of the building as the offices of the organization's Potsdam branch. A first exhibition about the history of this place was opened here in 1997. Further special exhibitions followed but they were all temporary in nature. And the former prison as such was only open to the public seasonally and on guided tours. In 2004 it was finally officially listed as a historical monument. Yet structural dilapidation meant the building had to be out of bounds for the public for a few years while substantial restoration work was undertaken. At the same time construction work for a new purpose-built visitor centre began in 2007. Work on the restoration and archaeological survey of the former prison continued over the following years, while a permanent exhibition to be eventually housed inside it was being planned. This finally opened in 2012. Given that it is one of the most authentic former KGB prisons anywhere this is definitely a great addition to Potsdam' s dark-tourism portfolio! 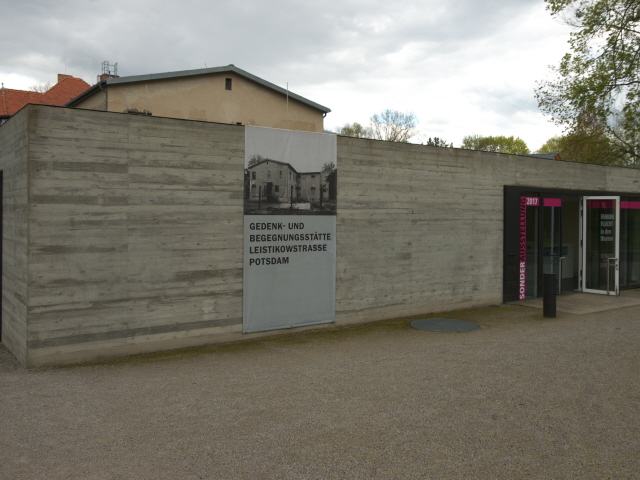 What there is to see: You enter the site through the purpose-built new visitor centre, a low, single-storey, grey concrete block with large glass doors, on the corner of Große Weinmeisterstraße and Leistikowstraße. Inside, there is basically just the reception desk, staffed by a single receptionist at the time I visited (April 2017). There's also some info material you can pick up here. Otherwise there's a kind of auditorium or film screening section – presumably for special events or for school groups. When I visited, nothing was happening here. At the reception desk you'll also be given instructions as to where to find the entrance to the prison block, because that's not what seems to be the obvious one right opposite the visitor centre, but instead it is round the back of the building. En route you can take a look at the memorial plaques (in German and Russian) on the wall of the prison as well as the foundations of the demolished former exercise cells and some remnants of the former fence/wall that used to surround the site. There's also a bronze relief model of “Military Town No. 7”, which the KGB prison and HQ was part of until the early 1990s when the Soviet military finally departed. 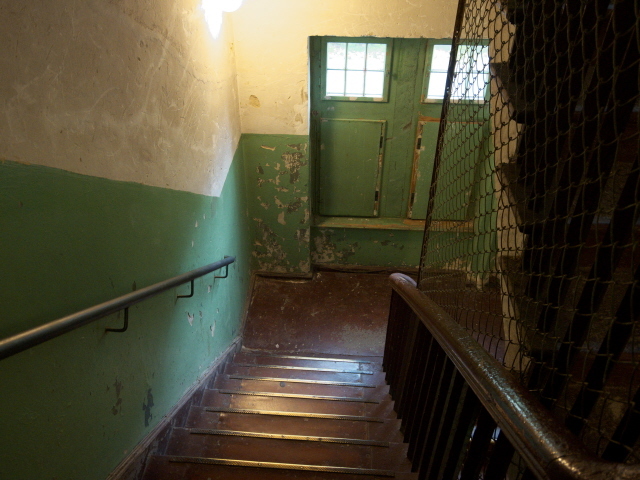 Once inside the old prison, you have to head upstairs to the first floor to get to the start of the main permanent exhibition. The exhibition commodification consists mostly of info panels, a few display cabinets with artefacts as well as interactive screens and audio stations. The written texts are generally bilingual, in German and English (of generally good translation quality), some of the general overview panels also come with a Russian version. Similarly, the audio tracks generally also come with all three languages to choose from. Thematically the exhibition is subdivided into various topics such as the processes of interrogation, tribunals, sentencing, imprisonment, daily routines, self-preservation, hygiene and food, prison staff and so on. The whole context of the KGB outpost in Potsdam and the “forbidden town” it was located in are also given detailed coverage. 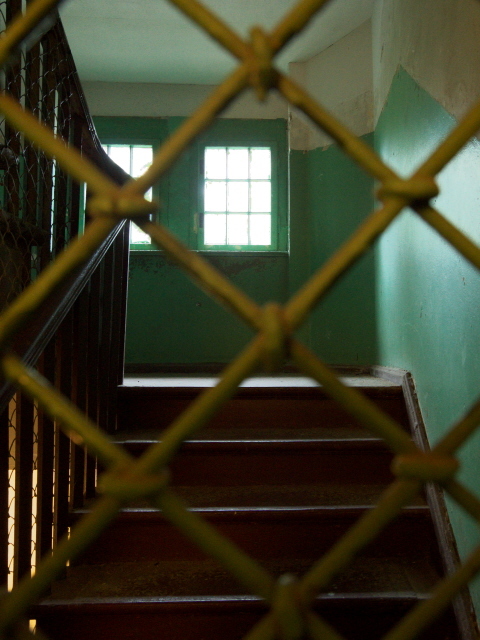 Three sections cover individual stories in three distinct phases of the prison. The first phase is about the time when many Germans were arrested here – initially mostly on charges of complicity in Nazi crimes or of being part of the suspected underground sabotage movement “werewolves” (cf. Bautzner Straße prison). Later the reason for arrest was mostly suspected espionage (which was often used as a blanket accusation for anything that was seen as critical of the regime). Since 1992, following the collapse of the Soviet Union, most of these cases have been reassessed and are now regarded purely as political persecution so the victims were officially rehabilitated. Amongst the individual cases described is that of Edwin Bechstein, descendent of the founder of the famous piano manufacturing company Carl Bechstein. He had served in the German army and was taken prisoner at the end of the war, but on his return to Potsdam as an ex-POW he was arrested by the Soviets, apparently because his mother had been an early financial supporter of the Nazi party or maybe because he worked in film and was thus regarded a “propagandist”. 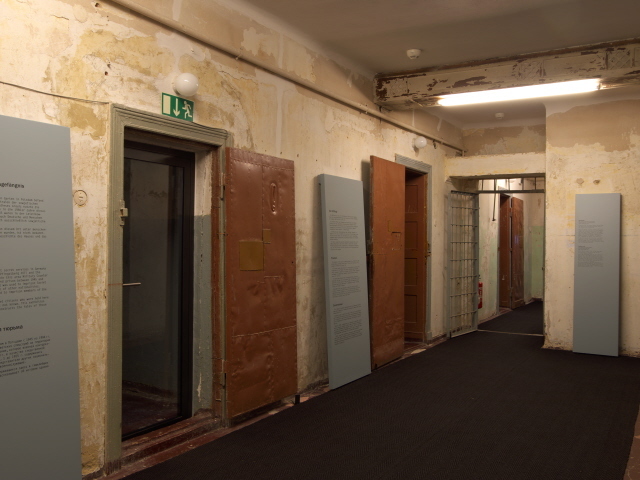 Not all prisoners at Leistikowstraße were men; there are also a few cases of women that are covered in the exhibition. One such case is that of a German women who served as an interpreter for the Soviets but somehow got caught up in some internal powers struggle in the KGB and was arrested, remanded in custody at Leistikowstraße, then sent to Moscow for sentencing and spent three years in the infamous gulag of Spassk in Kazakhstan. There are dozens more such stories but these two examples shall suffice here. Since these are the best researched cases, they also come with several artefacts related to the individuals and their stories, such as items made while in jail or a gulag, letters written to loved ones, or photo albums made after their release. At the end of one of the corridors on the first floor is a separate room with an electronic database of prisoners that can be searched. In addition there are a number of folders with additional background material, including about the cases of those Germans who were sentenced to death. All this material is in German only. 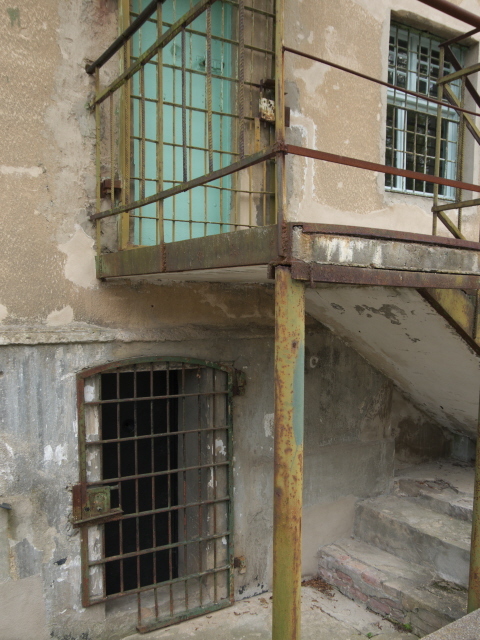 Another important group of prisoners in the early phases of the prison were Soviet citizens who had been used as forced labourers by the Nazis. In the eyes of Stalin that amounted to having been “collaborators”, and so thousands of these unfortunate souls, after having been freed from the Nazis, were sent straight on to gulags in the USSR. In the second phase, which lasted roughly until 1955, the KGB steered its attention mostly towards suspected “spies”, which could include those who simply resisted the increasing Sovietization of East Germany, but also genuine agents working for the West. In the third phase from 1955 to the mid 1980s, the main group of prisoners were deserters from the Soviet military or those who had attempted to defect to the West. In general, much less is known about the individual stories of the Soviet prisoners. Often some scratchings on the wall or on objects stating places of birth or what their sentence was are the only traces left of them. A few better documented cases are presented here as well, though. Also better known are the individual stories of the perpetrators, i.e. the prison staff, the interrogators. One particular case is given its own section here, namely that of Rafail Goldfarb. He had been a Soviet interpreter for the counter-intelligence service and worked at the prison in Leistikowstraße for three years, but then defected to an American secret service. Thus first-hand insights into the workings of the Soviet system and information about interrogation methods etc. could be gleaned. Most important at this site, however, is its own physical authenticity. 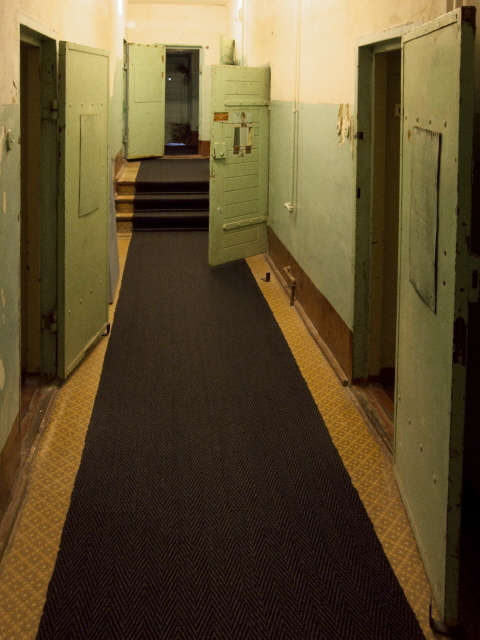 Some of the cell block corridors, and their rows of cell doors, still look like they would have back in the time when the prison was in service. The commodification through text panels and so forth does not detract too much from that. Instead these elements are mostly clustered inside rooms. Here and there I also spotted little signs of the archaeological surveying of the building – it seems that this work is still ongoing. 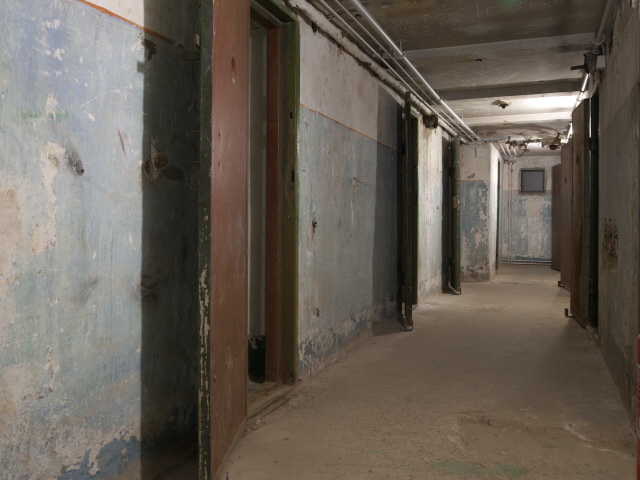 Some rooms are left practically as they were found when the building was returned after the the Soviets' departure. For instance the washrooms still look like they were left only yesterday. 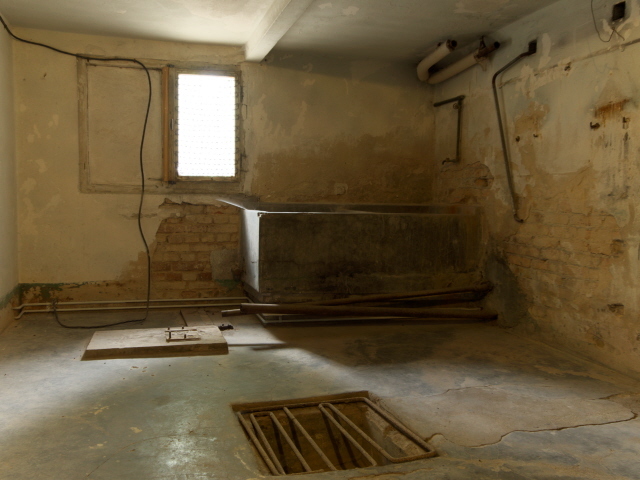 Similarly some of the isolation and punishment cells look like the last prisoner has only just walked out. The authenticity is also enhanced by a few interviews with surviving ex-prisoners that you can watch/listen to at the various media stations. That way the authentic “look” of the prison is complemented with first-hand eyewitness accounts. The exhibition as such is spread over most of the first floor and just a few rooms on the ground floor. But there's more in the basement. Here there isn't much museum commodification, just a few plaques explaining what the different cellar rooms served as. 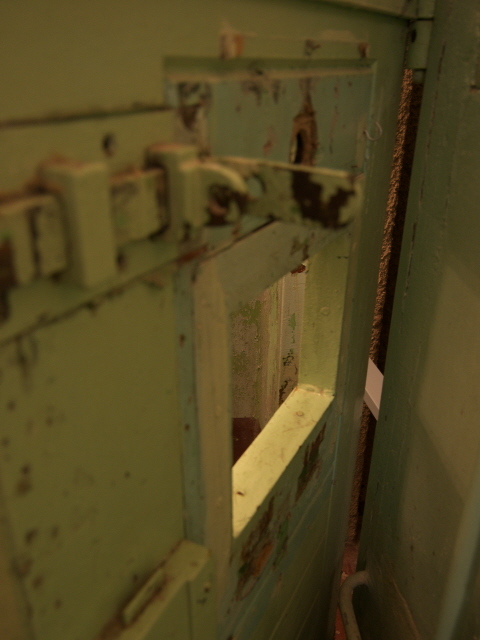 It was here that the very first prison cells were installed in the early phases of the prison. A couple of these crude spaces have been preserved, complete with their typical wooden plank beds, which was the only furnishing. Most importantly though, and this is a speciality and “highlight” of sorts at this site (but see also El-DE Haus Cologne), there are numerous preserved inscriptions scratched into the walls by prisoners. Some are just drawings, others are text, some in Cyrillic by Soviet inmates, but there are also German ones. Some of these have been matched with their creators' life stories, which are told on plaques affixed to the wall. In some cases that life story was cut short, though: there are a couple of inscriptions that simply give a name and the single word “Todesstrafe” ('death sentence'). At the time of my visit (in April 2017) there was also an additional temporary exhibition, namely on the topic of Soviet deserters, but by the time you read this, there is bound to be something else on. Anyway, that extra exhibition was in German only, so of less interest to most international visitors. After you've finished your visit in the basement, you come out of the building through a different door than the one you used to enter it. 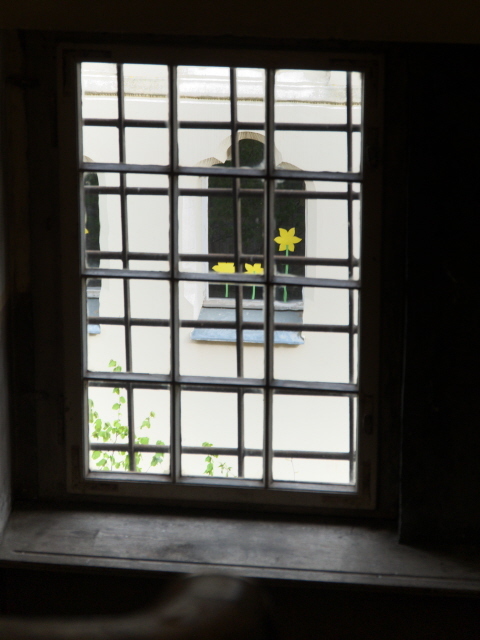 Take a last look at the grim barred windows and doors, then make your way back out through the visitor centre. 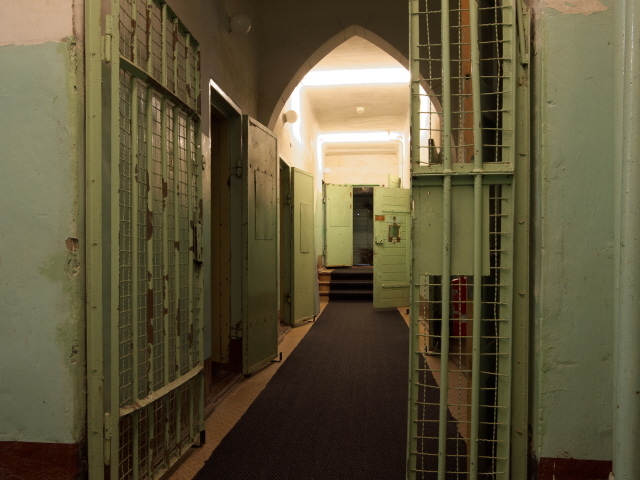 All in all, this is a very special site, thanks mainly to the authenticity it exudes (more so in the more recent cell block corridors than in the cellar) and also through the way it is accompanied by interpretation, especially with the many personal elements woven into the narrative. This prison is nowhere near as big as the other Potsdam one, the ex-Stasi prison Lindenstraße, but this one is far better commodified for international visitors. It can also serve as a very sobering follow-on from visiting the much more celebratory Cecilienhof that is so close by. Location: at Leistikowstraße No. 1 in the Nauener Vorstadt suburb of Potsdam, Brandenburg, Germany. It's a couple of miles to the north of the centre, and just to the west of the Neuer Garten Park (see Cecilienhof). Access and costs: a bit off the main tourist tracks, but not difficult to get to; free. Details: If you don't want to walk it all the way from the centre of Potsdam (though that is quite feasible) then you can get to the site by using the same bus that also goes to Cecilienhof (line 603). Just get off one stop earlier, at Glumestraße, and then walk up this street to its end, turn right into Große Weinmeisterstraße and walk north for one block. From Cecilienhof it's only a few minutes' walk too, or from there (terminus stop Höhenstraße) you can take bus 603 one stop in the return direction into town and get off at the stop Persiusstraße, which is just past the entrance to the memorial. Opening Times: Tuesdays to Sundays, afternoons only, from 2 to 6 p.m.; closed Mondays and also from just before Christmas until after New Year. Guided tours can be arranged, also at other times in other languages, but only for groups (max. 19 persons) at a flat rate of 55 EUR (school groups 25 EUR). Time required: between one and two hours, or possibly even longer if you want to read everything and listen to all the interviews etc. at the various media stations. Combinations with other dark destinations: The closest other main dark site of Potsdam is Cecilienhof, which is only a few minutes' walk from here to the north-east (just walk to the other end of Leistikowstraße, turn left and walk up the street Am Neuen Garten or through the park itself). There's another, even bigger former prison in Potsdam, this one having been for most of its existence a Stasi remand prison. It's located at Lindenstraße right in the heart of Potsdam. Combinations with non-dark destinations: See under Potsdam.